 December 20, 2016 at 11:13 pm. 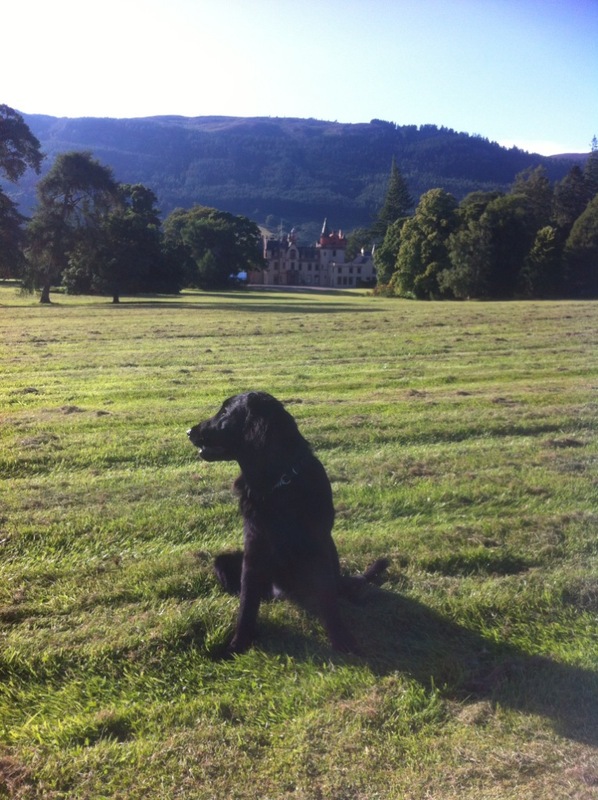 We can give you a few ideas of what to see whilst yachting along the Caledonian Canal. And there is plenty to see and do both on and off the water. “A most enjoyable and life-changing experience during a holiday in Scotland”, according to many of our previous guests, is to take a trip to Moray Firth and visit the dolphins. 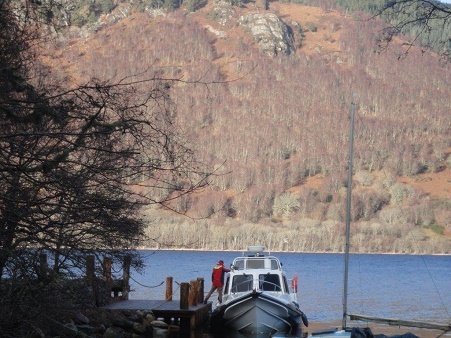 Are you a yacht owner or have you hired a yacht whilst touring the Scottish Highlands? If so, you can easily head east from Inverness. Take in the striking and ethereal surroundings of the imposing wild hills as you go. Soon enough you will come across the peaceful scenery of Moray Firth. Here you can sail along beside the friendliest fish in the sea and the largest school of dolphins in the UK. If you decide to travel downwards from Inverness in the Scottish Highlands you will pass a host of cultural and scenic spots. 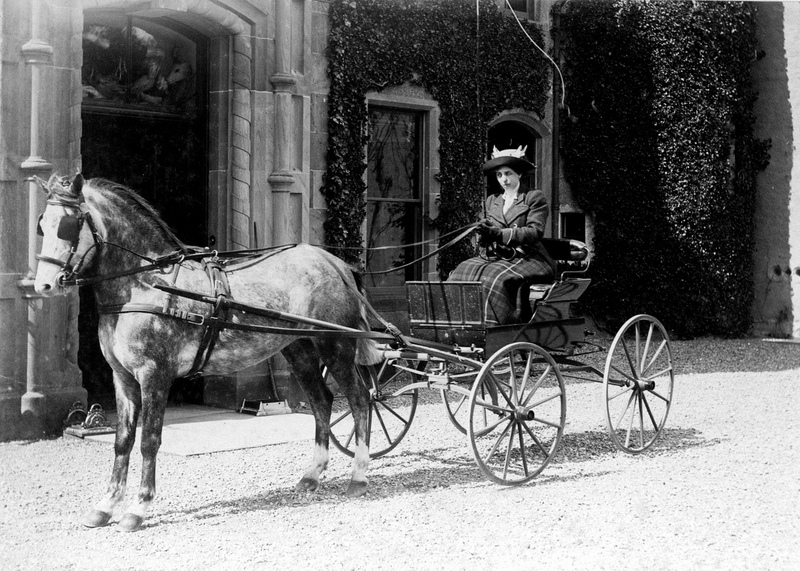 These include the must-visit quaint village of Invergarry, home to Invergarry Castle amongst many other beautiful sights. Originally the seat of the Chiefs of the Clan MacDonnell of Glengarry (another Castle – at which you can also enjoy a delightful lunch), the Castle has a fascinating history. 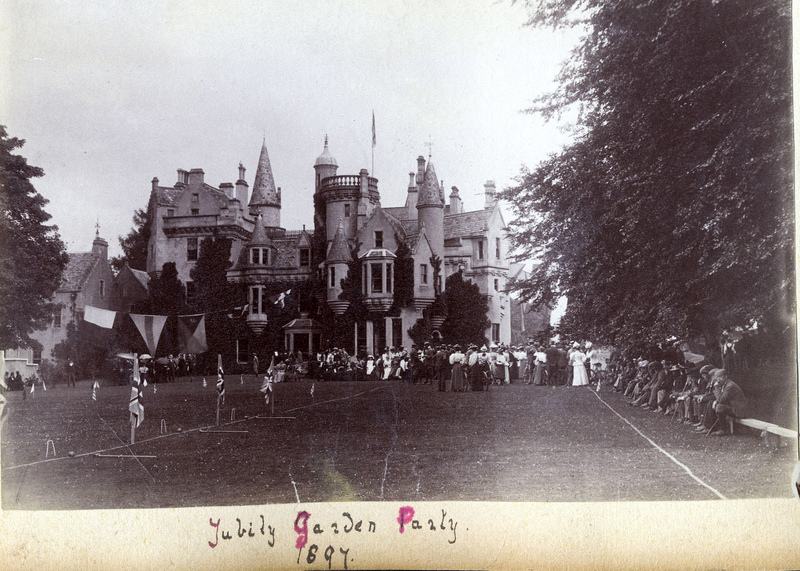 Its gothic façade makes even the least interested sight-seers want to roam around its evocative grounds. 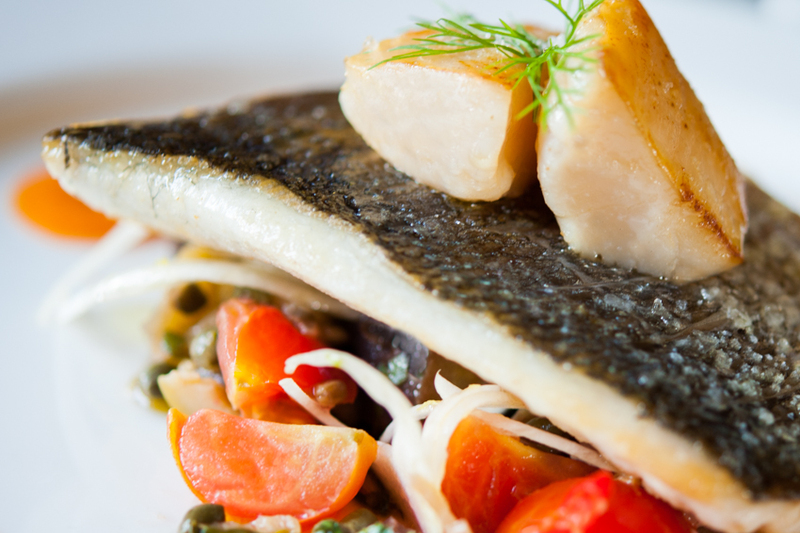 Stop for a spot of food and drink at a deli or brasserie in this charming village. Later, venture forth and sail your yacht further down the Caledonian Canal. 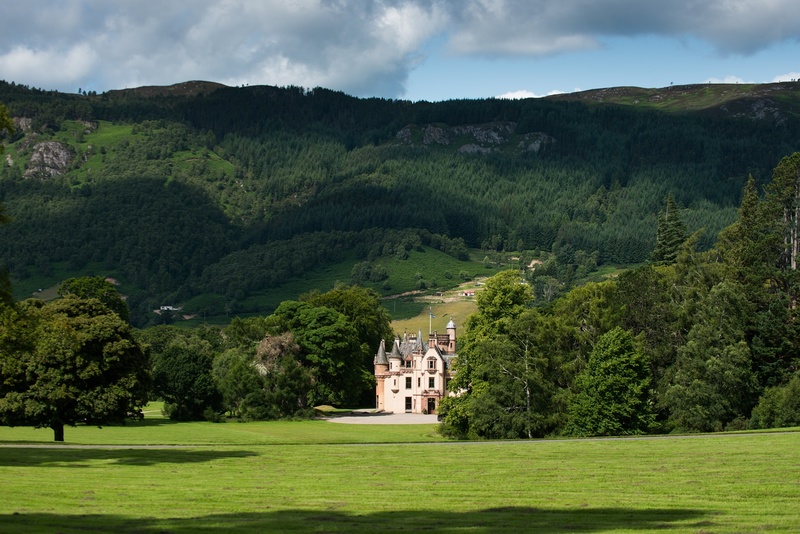 Veer off slightly to the west before stopping at the famous Fort William. Known as the gateway to Ben Nevis, the UK’s highest peak, this lovely town is full of outdoor sport and beautiful yet challenging walking trails. 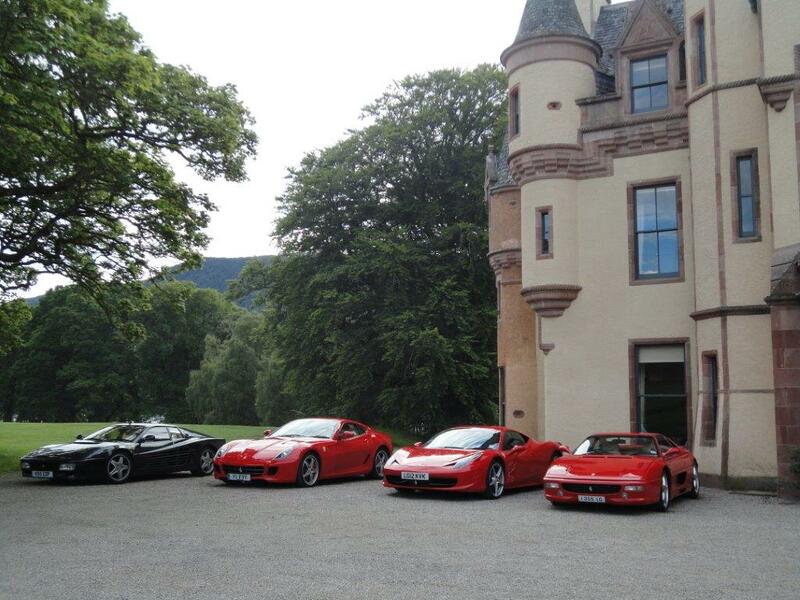 Dornoch is just one of the championship golf courses in close proximity to Aldourie Castle in Inverness. 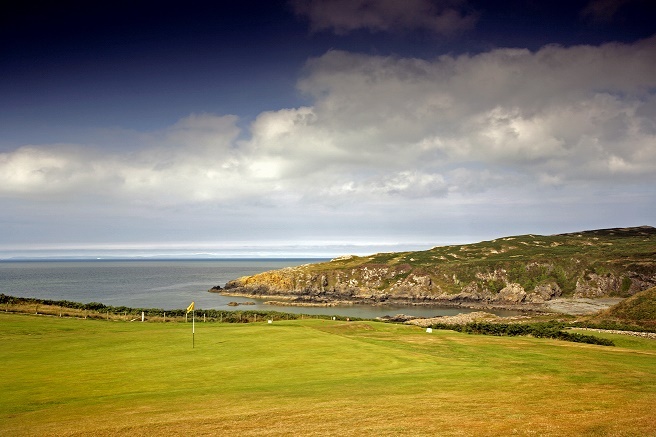 It provides an opportunity to hone your golfing skills whilst holidaying in Scotland. Maybe you’re an experienced golfer and touring the Scottish Highlands by yacht to break up a golfing holiday. 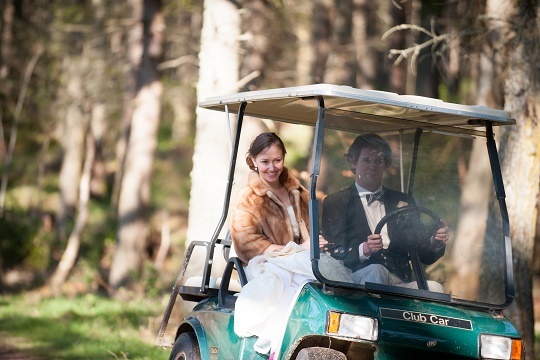 In this case, Royal Dornoch is definitely somewhere you want to stop off – or tee off! Water, water everywhere and not a drop to drink. Not until you reach Muir of Ord. 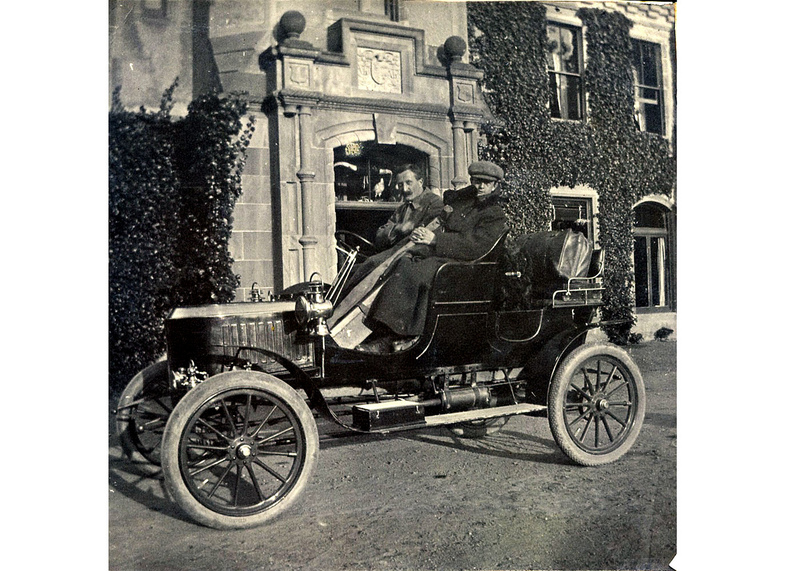 This is again just one of many of its kind in Scotland; a whisky distillery with a name of prestigious heritage. 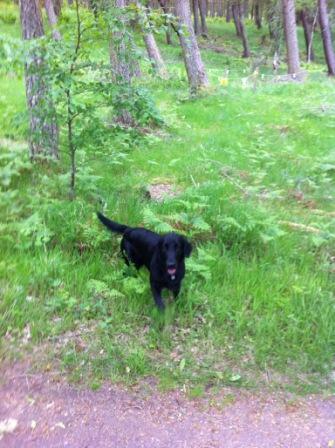 Close by, and after a tasting of course, you may stumble upon Beauly. Enter a typical Highlands town complete with abbey ruins, quaint coffee shop-delis and stores with old-fashioned Highland quality and values. One such place is called Campbell’s, an outfitters which combines the tradition and warmth of a local shop with the quality of a high fashion befitting the Scottish gentry. 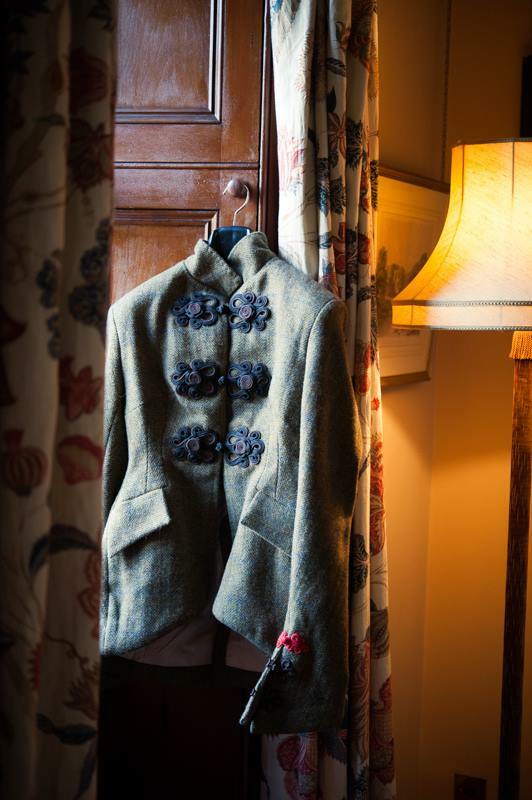 It also offers a bespoke tailoring service – why not get fitted with gear for a shoot on one of the local Highland Estates? 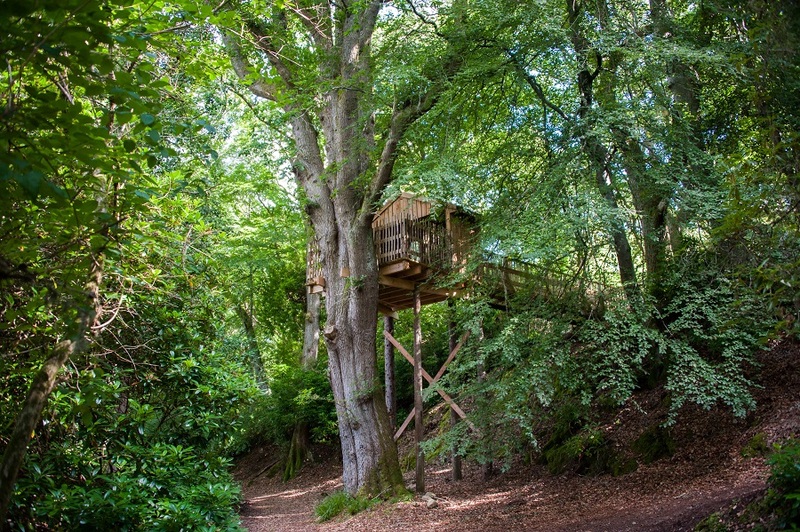 As you can see, there is more to the Scottish Highlands than simply taking – or trekking – the high road. From picture perfect villages with friendly locals to ancient ruins with their own ghosts of the past, a journey by yacht can expertly combine a luxurious five star holiday. 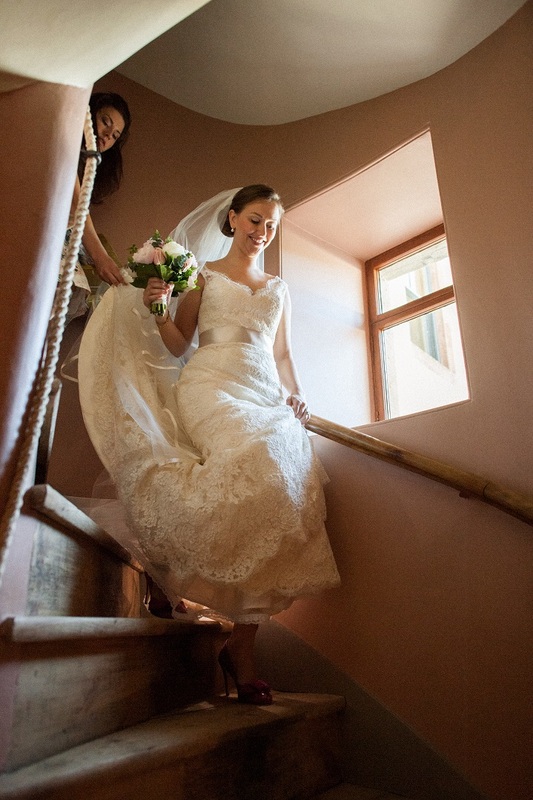 Along the way enjoy random adventures at every turn culminating in memories to treasure. 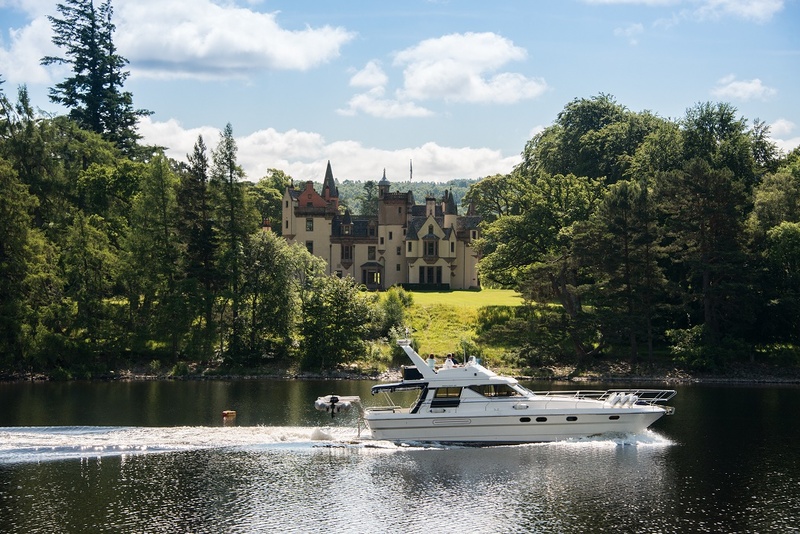 Here’s a thought: moor up your yacht at Aldourie’s private marina on Loch Ness and hire out this enchanting Castle for a couple of nights. Then set off to explore more of the famously impressive and innovative Caledonian Canal. August 27, 2016 at 6:23 am. 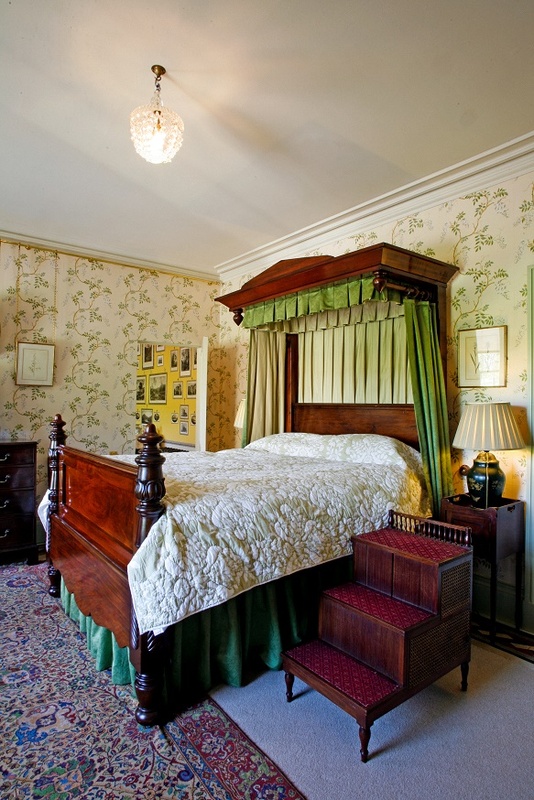 Wake up to a warming Scottish breakfast enjoyed in front of the burning fireside of the Lairds Room. There’s no better way to prepare for the chill of a rainy day than with a heart-warming plate of good traditional food. Exclusive use holidays are best enjoyed when the whole family gets together for breakfast, still in their pyjamas and slippers with sleep in their eyes. 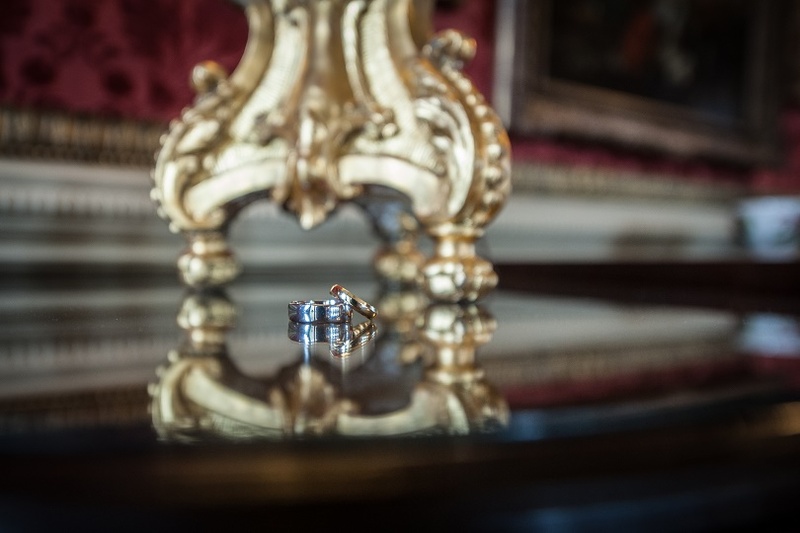 After all, what use is a private hire property if you are not as relaxed as you would be in your own home? Finish off with a steaming cup of coffee before dressing for the outdoors – layers of clothing (because walking can make you warm) and preferably waterproofs. 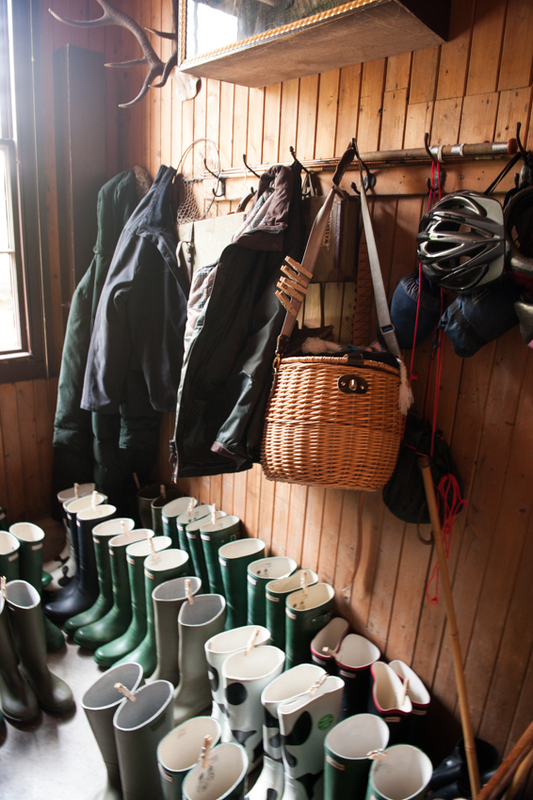 Pick out some Hunters from the Castle’s welly room, grab Loch Ness Lizzie from the Aldourie office and head out into the parkland with a large golf brolly. 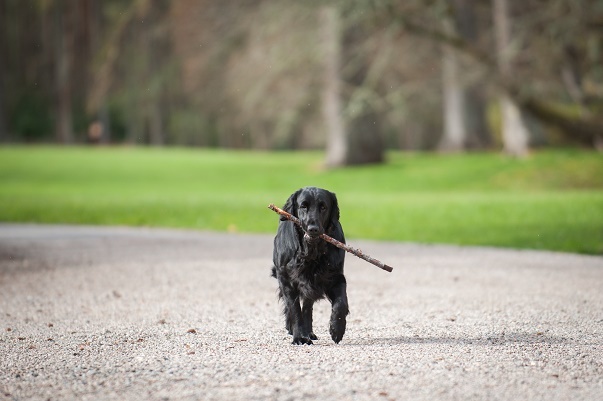 Walking is the best way to see Aldourie Estate, in fact any Highlands estate, in anything from a meek little drizzle to a full on downpour. 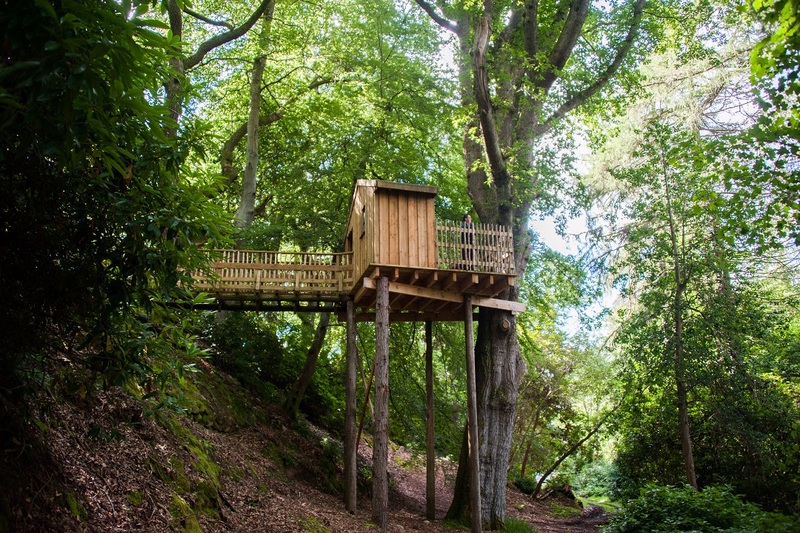 The arboretum just next to the Castle which groups of guests can literally tumble into is where you will find the treehouse hidden amongst the treetops as you walk along the Loch Ness shoreline. 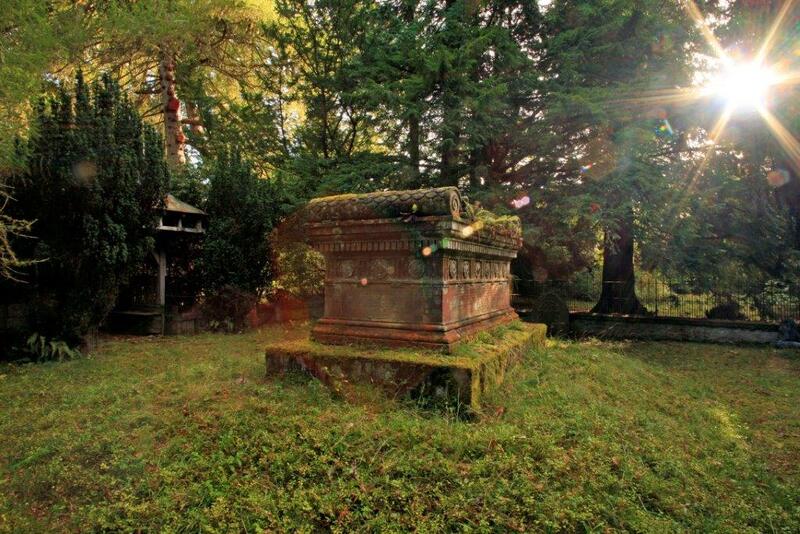 The Aldourie family graveyard is a sight to behold in the rain, if a little spooky, and multigenerational family house party stays at Aldourie during Halloween usually squeeze in a visit or two. 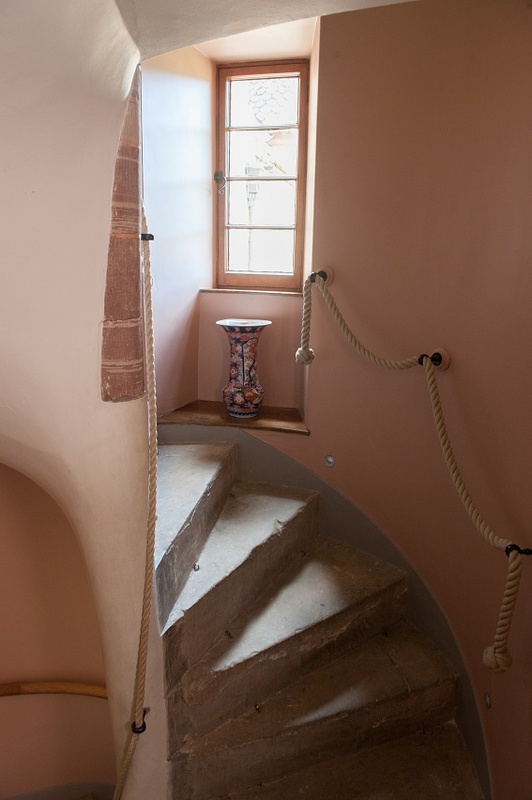 The tombstones and original triptych engravings are enough to get you into the spirit of the setting. 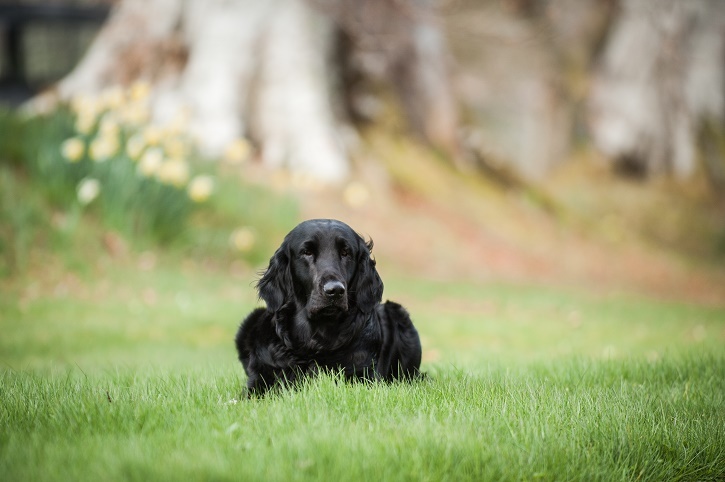 Be warned: if Loch Ness Lizzie is still with you by this point she may try to find a comfy spot in the long grass so it could be best to let her catch you up. 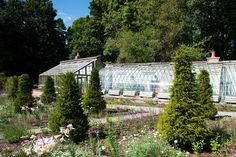 Our beautiful newly renovated greenhouses provide scenic relief from the rain and let you enjoy the raindrop sounds up above as you absorb some heat as well as the scents of fresh salads and vegetables. 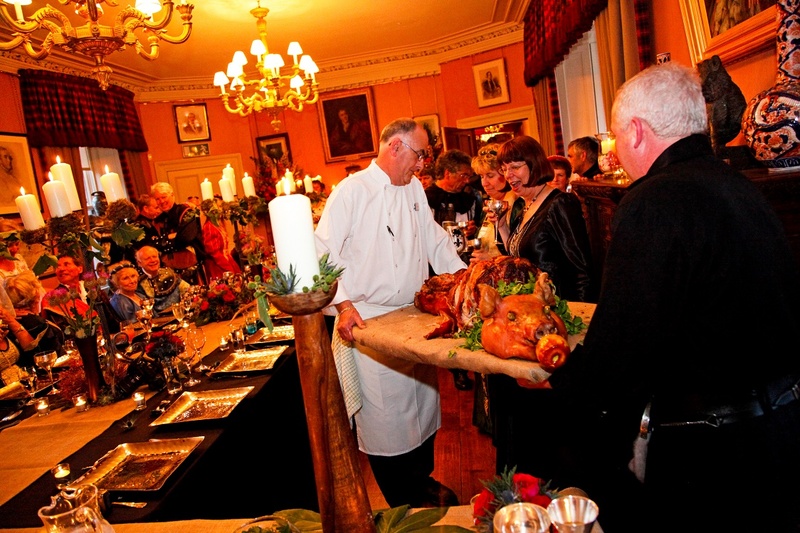 Come lunch time on the Estate we recommend that you and your private party of guests savour some of Aldourie Castle’s delicious Scottish cuisine once again. 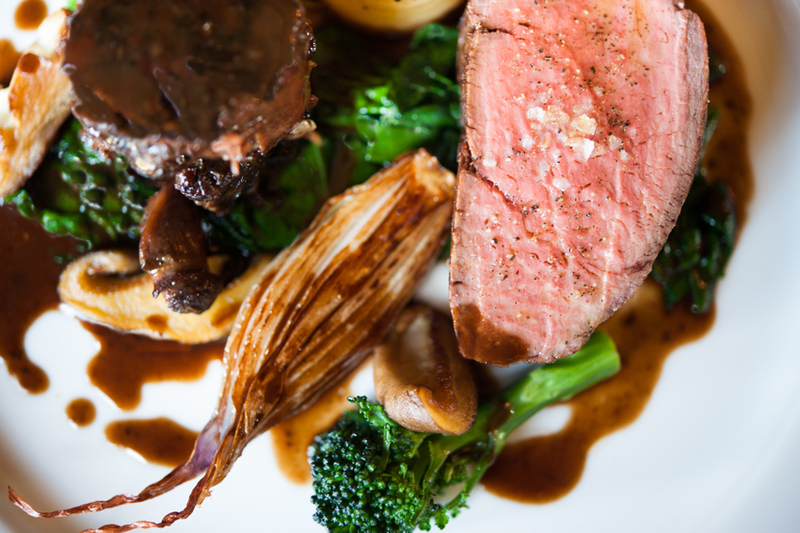 Our fresh scallops from Applecross have been known to bring sunshine to the wettest of days in the Castle, whilst our roasted loin of Speyside lamb or fillet of Highland beef lets you succumb to the most treacherous weather and indulge in the sheer cosiness a traditional hearty dish can bring. 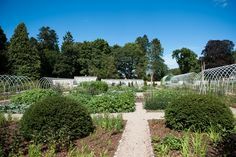 Afterwards a variety of fresh fruit juices, if the rainy weather and full tummy have made you weary, are just the thing to pep you up for another jaunt around Aldourie’s 500 acre grounds. 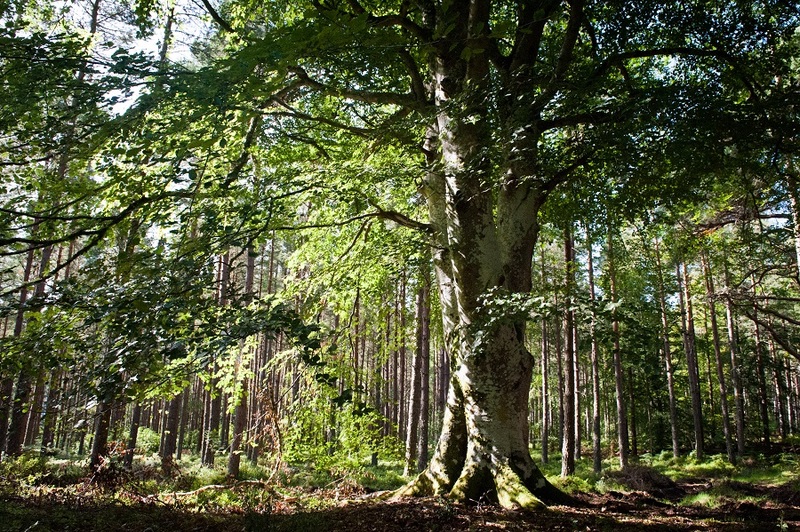 Burn off your lunch with a walk through the woodland or even a spot of cycling if the ground isn’t too muddy. Go to the very edge of the Castle’s private pier for some magnificent views as you gaze across to the Highland hills over Loch Ness. Do you fancy water sports in the rain? No, neither do we. But a boat ride when you’re covered from top to toe in waterproofs and protected well from the unflappable Scottish elements can be a real thrill. 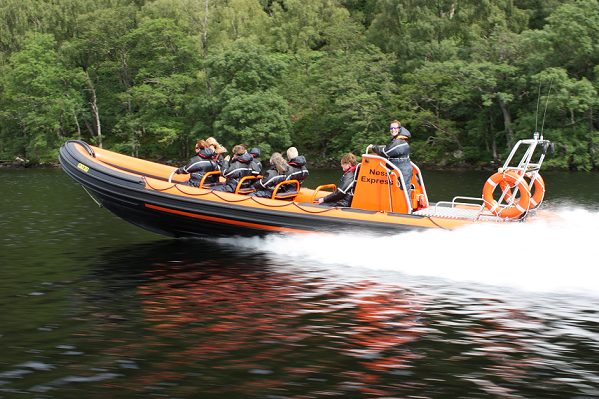 Let us book you an hour with Cruise Loch Ness on the Nessie Hunter and experience adventure whilst distracting the kids from the rainy weather. 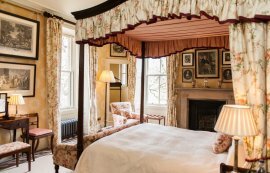 All that water will have you yearning for a hot pot of tea and some cream cakes – Afternoon Tea in the Drawing Room with the fire and a good book, anyone? One of the best ways to warm up after a rainy day is to have a long soak in a roll top bath with a hot chocolate on the side. 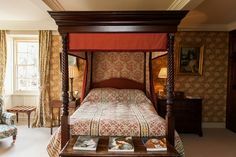 Take your time getting ready in your luxury bedroom and re-join your party in front of the Aldourie Library’s real wood fire for a pre-dinner catch up on the day’s events. 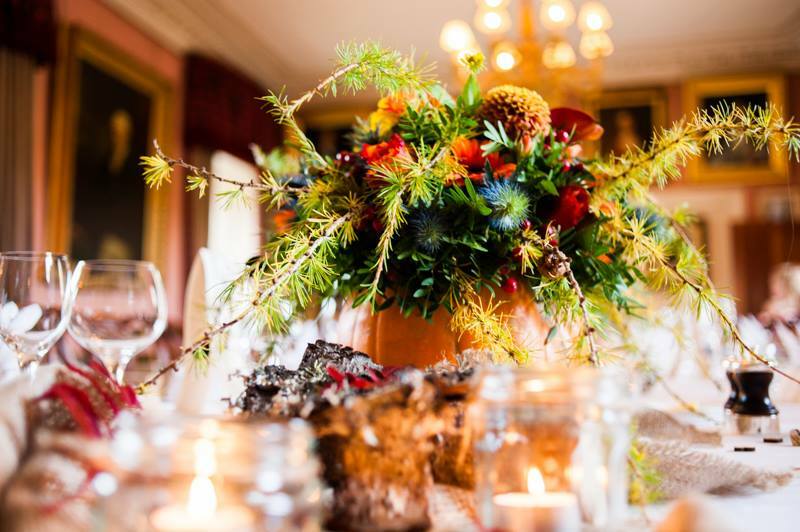 Afterwards, sit for dinner around the long table in the atmospheric Dining Room to enjoy chef’s choice of Scottish cuisine accompanied by a glass of the finest red wine from the Castle cellar. 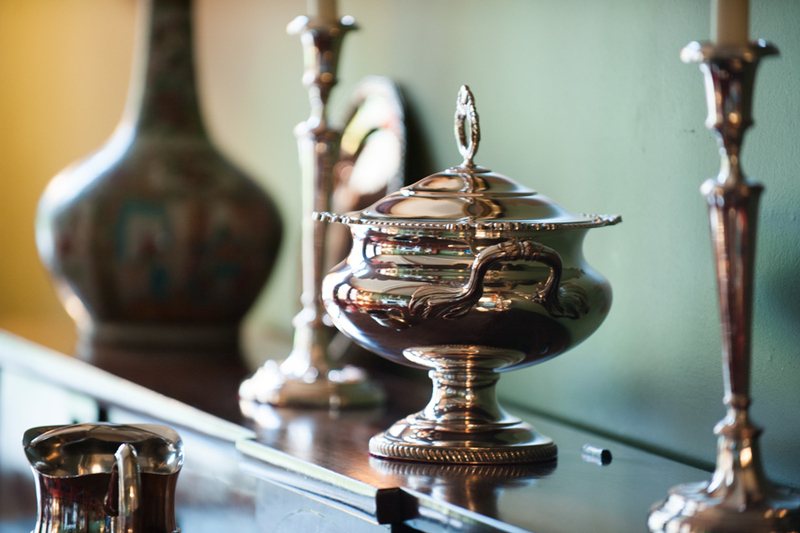 Spend a while in the Games Room for a spot of billiards or a couple of traditional board games or let Aldourie’s hospitality manager organise a whisky or wine tasting in the Red Drawing Room. Either of these are such cosy, indulgent indoor holiday activities for when a storm hits Loch Ness. 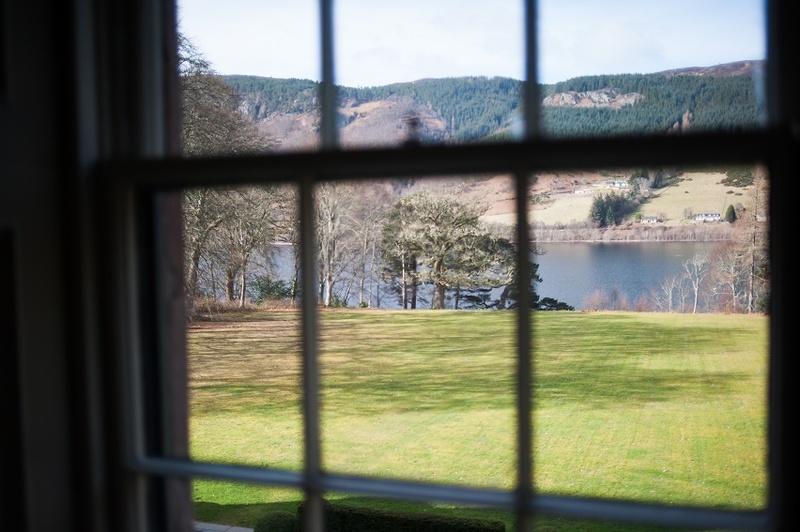 Help yourself to your favourite drink – sherry or port will keep the chill away – and take a moment to gaze out of the large windows of Aldourie. 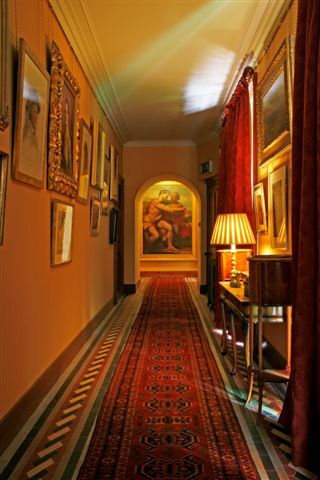 Why not take in the portraits in the Main Hall, stop midway up a spiral staircase or relax on a window seat along the luxurious corridor upstairs to watch and listen to the rain pitter patter against the glass and drop into the Loch. 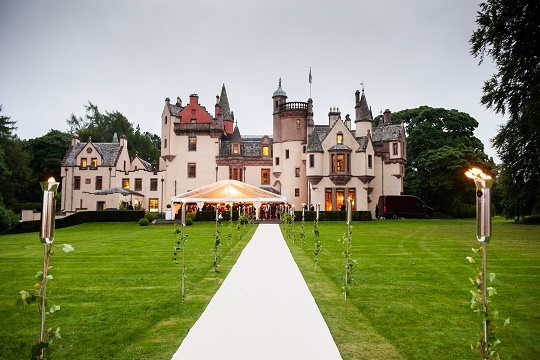 You could even take a journey up to a turreted balcony and feel the refreshing rain on your skin – after all, if you can’t sing and dance in the rain during a stay in a stately Scottish castle, when can you? Part 2: Why does Loch Ness appeal to celebrities from around the world? March 26, 2016 at 8:25 am. 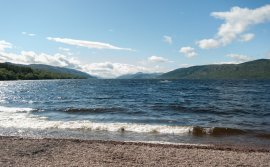 In our last blog post we looked at how the infinite and mystical Loch Ness in the Scottish Highlands brought in interest from around the world. 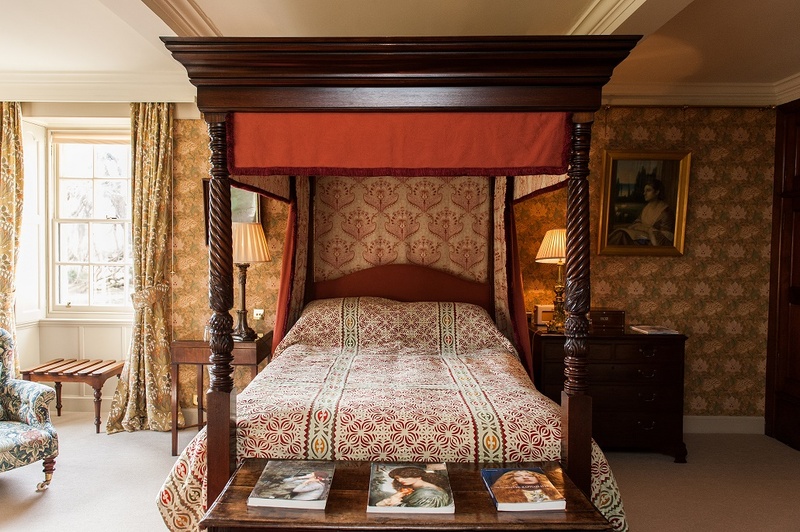 Celebrities visit simply to take in its beauty and let the natural aura of Loch Ness enchant and inspire them for their short break or luxury holiday in the great Scottish Highlands. Read the PART 1: Why does Loch Ness appeal to celebrities from around the world? 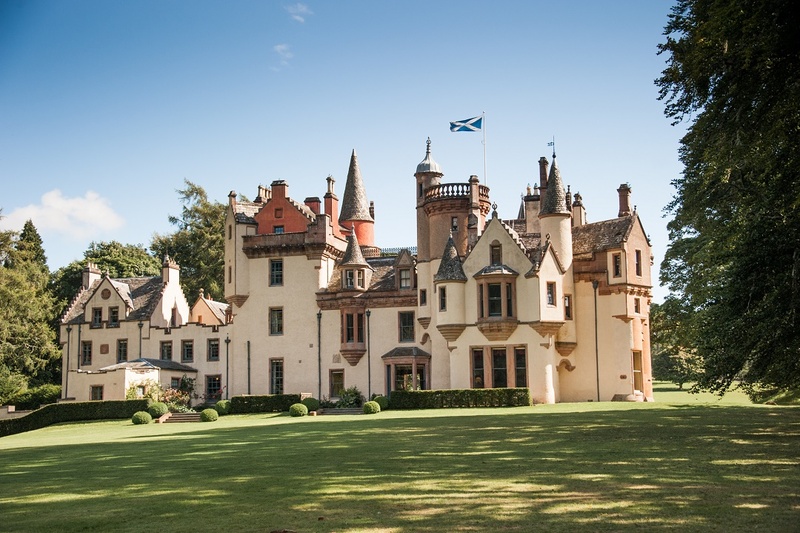 Then continue to adventure through the calming, majestic waters that float past the beautiful Aldourie Castle on Loch Ness. 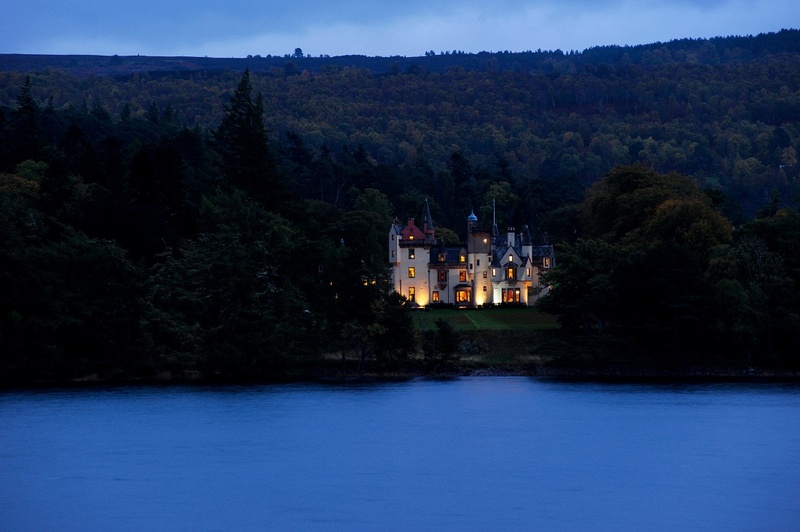 The late Robin Williams was said to have been a fan of Loch Ness and its ethereal appeal. He would glide across the waters with pal, Billy Connolly, on occasions, finding the beauty and wildness of the place completely freeing. It is wonderful to think that this exhilarating and captivating paradise on earth brought this great actor some small comfort in the years and days before his sad passing. 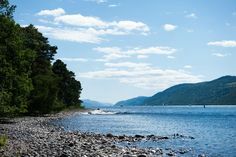 The largest loch by volume in the Highlands and holding more fresh water than all the lakes in England and Wales combined, idyllic Scotland destination Loch Ness has gone down in history for more than just its monster or mysterious storybook setting. 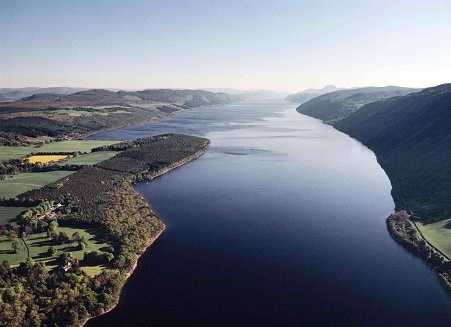 It has always been an important site for military, political and commercial reasons with settles gathering at Loch Ness as far back as 2000BC. 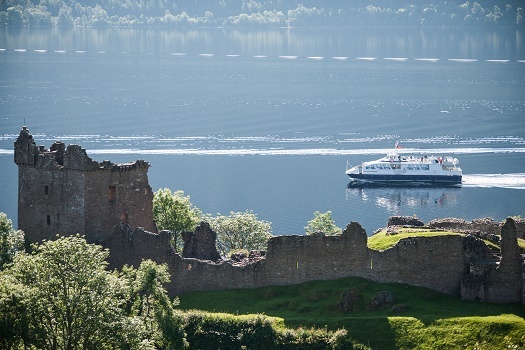 Recent history makes Loch Ness just as captivating as a tourist hotspot in mystical Scotland. 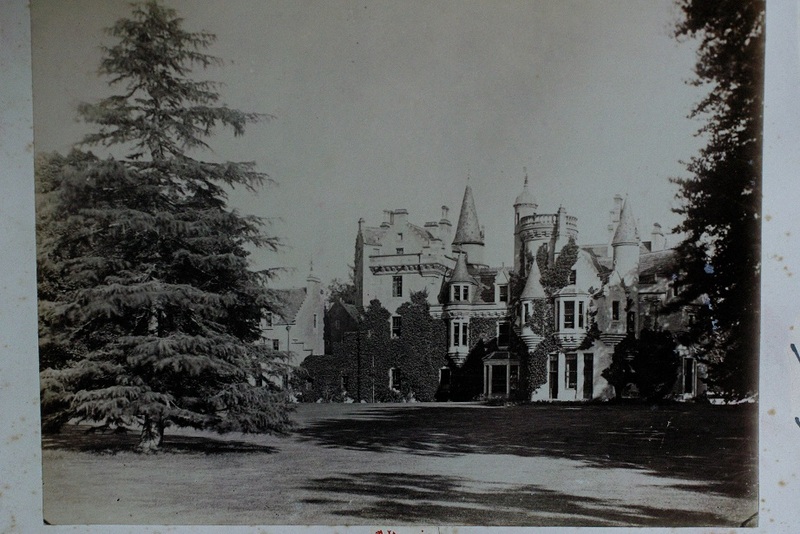 Playing host to colourful characters of the past such as the infamous occultist Aleister Crowley, Loch Ness is said to have housed black magic ceremonies and secret tunnels during the early C20th. It was the crash landing place of a Wellington bomber during WWII that was 40 years later brought up to the surface with barely a mark on it and today can be seen at the Brooklands Motorsport and Aviation Museum. It was also the chosen location for John Cobb’s fatal water speed record attempt in 1952; the memorial for which stands at the edge of the Loch in commemoration of his achievement. You can visit Drumnadrochit’s Loch Ness Centre and Exhibition for a more in-depth detail of the natural history of the famous lake that features the only habitable Castle on its blissful shoreline. Despite the ice cold Highland air cooling its wild current and frost bitten hills flanking its shorelines during winter, relentless Loch Ness never freezes making it a big allure to fishing enthusiasts all year round. Whether local or tourists, fishermen flock here owing to the lake’s large variety of fish species. From Northern Pike to Atlantic Salmon and Brown Trout, Loch Ness is a sea of life waiting to be caught. 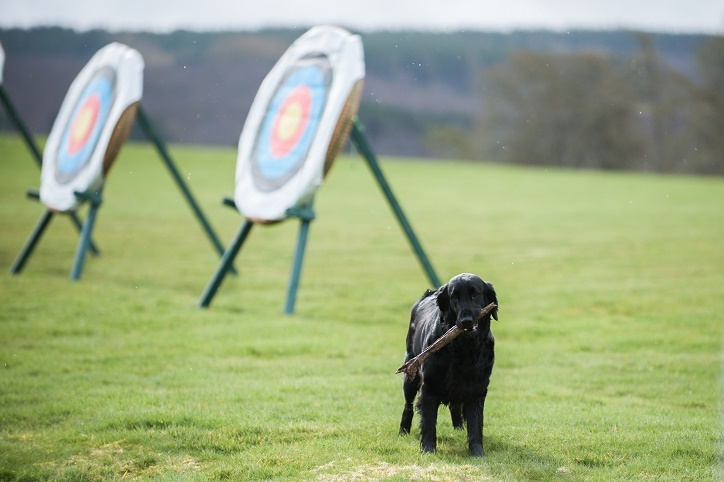 Anglers of all ages can partake in the fishing experience available in this part of the Scottish Highlands and the mesmerising scenery tops off any days’ conquests making it a truly memorable (and refreshing) day out or even holiday. 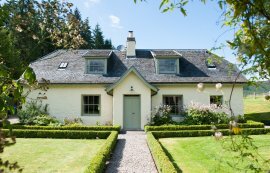 Book a week’s stay at one of Aldourie’s Cottages on Loch Ness for your annual fishing trip or holiday with friends and indulge in one of Scotland’s most treasured pastimes. 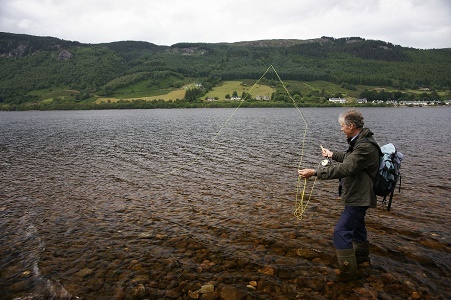 In time for the salmon fishing season look out for our March blog article ’10 reasons to go fishing on Loch Ness’. From Brad Pitt and Gwen Stefani to Oprah Winfrey and President Obama, the list of celebrities who love to go fishing, whether on their own or with a friend or family members, seem happy to let this be known and pose for photographs. Is fishing becoming more popular and could this be another reason to attract them to holiday on Loch Ness? We think so. 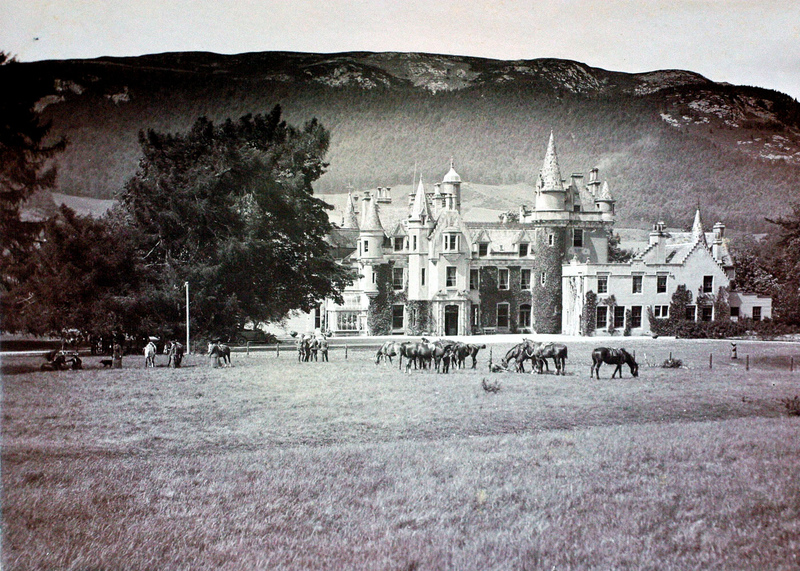 And, with our unique Castle providing group accommodation for the luxury travel market and idyllic cottages on the secret shores of Loch Ness perfect for celebrity hideaway holidays, we think they’ll soon be swarming here along with all the envious fish who want to be seen at the destination hot spot of the century.